We all know that prevention is an important part of our overall health. Many people choose to watch their diets, and get regular exercise and sleep, in order to stay as healthy as possible. But there’s another important aspect to prevention and good health that shouldn’t be ignored: your regular dental appointments! Professional oral hygiene and cleaning is vital for good health. Why? Because when you come see us for your routine cleanings and examinations, you’re actually practicing preventative dentistry. 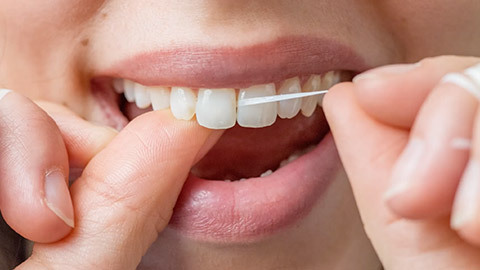 Regular tooth cleaning and tooth scaling (the removal of hardened plaque known as tartar) removes harmful deposits from your enamel before it can lead to cavities, tooth decay, or periodontal infection. Polishing the teeth does more than make them look good; it smooths the surface of the enamel in order to make it more difficult for plaque to take hold. X-rays let us get a good look at what’s going on below the gumline, in order to diagnose problems and spot trouble before it starts. Fluoride treatments strengthen teeth and make them more resistant to decay. And we give all our patients proper brushing and flossing education, to make certain that they maintain all this good work between their regular appointments. If you want to prevent dental problems, then start with those routine oral hygiene appointments! It’s a small commitment for a big result: good oral health for a lifetime. If you need more information about Oral Hygiene/Cleaning in Sunridge Landing, contact us today.